For those who don't understand the term "tapering", in plain English, here is how it could affect Gulf Shores real estate and mortgages going forward. 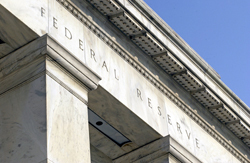 Tapering means that the Fed will reduce the amount of mortgage and treasury bonds it purchases each month. It was doing this in an effort to stimulate borrowing and economic activity by keeping interest rates low. Thankfully, the tapering will be done slowly vs. a quick stop. A fast stop would be terrible for Gulf Shores real estate. The Fed has a way of talking out of both sides of the proverbial mouth when it says things like, "The economy is growing and consumer/business spending is up, but the housing sector is starting to slow down slightly. Inflation is lower than the Fed would like to see, but its long-term analysis is healthy." The usual "yeah, but…" applies just about every time the Fed speaks. With tapering, there's no exception. Pointing to ongoing, stable improvements in economic activity and labor market conditions since the start of its latest quantitative easing program in September 2012, the committee agreed to scale back its purchases of agency mortgage-backed securities (MBS) to a pace of $35 billion per month; at the same time, purchases of Treasury securities will shrink to $40 billion per month. Together, the cuts represent an overall reduction of $10 billion in purchases each month. Where Will Interest Rates Go For Buyers of Gulf Shores Real Estate? The decision brings to an end months of speculation over when the Fed might finally decide to pump the brakes on its stimulative strategy. Now, the ongoing debate will likely turn to the expected timeline for further cutbacks — probably with little input from the FOMC, which insisted that asset purchases "are not on a preset course." Essentially, the Fed is now saying, even with the tapering announcement that came as no big surprise, that they are committed to keeping interest rates low for quite some time. So again, "we're cutting back, but keeping rates low…"
How all of this will affect the Gulf Shores real estate and mortgage markets is anyone's guess. We'll keep a sharp eye on things for you and pass along anything that may significantly affect mortgage rates and the overall Gulf Shores real estate market. Get more news on Gulf Shores home prices, along with other Gulf Shores real estate news and information by clicking the Gulf Shores Real Estate News link to your right under Gulf Shores Real Estate Categories.